We are engaged in offering a wide range of Spindle Shaft. These spindles are driven by a tangential belt system and used widely in milling applications. They are available in various sizes with a wide variety of speed and power range. 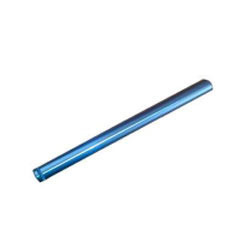 High Quality CNC finish Industrial Shafts as per order. With a focus on the ever-evolving demands of our customers, we have come up with a wide range of uniquely designed Industrial Shaft.